^ Returning Starters Make Santa Clara Tourney Favorite. Los Angeles Times. June 18, 1991 [February 17, 2013]. 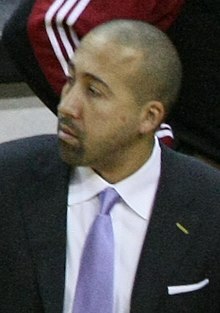 ^ Grizzlies name David Fizdale Head Coach. NBA.com. May 29, 2016 [May 29, 2016]. ^ Grizzlies relieve David Fizdale of head coaching duties. NBA.com. November 27, 2017 [November 28, 2017]. ^ Coach Fizdale marries Natasha Sen in San Diego. SB Nation. August 24, 2014 [December 14, 2016].